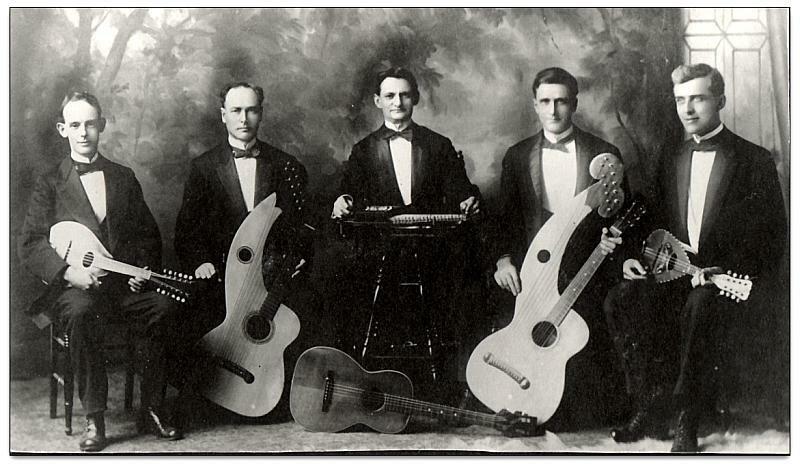 Are there still those guitars with the extra, curved neck and even more strings? They must sound like an orchestra all by themselves! Any idea of the nationality of these folks? Or ancestry, if they’re in the U.S.? Those are harp guitars. They have extra bass strings. They sound wonderful. Not sure where these folks are from or where the picture was taken.